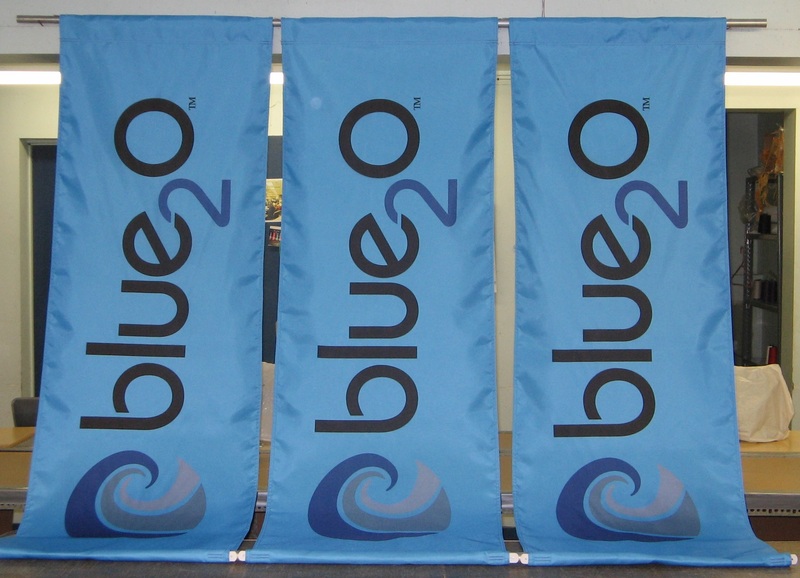 Dye-printed banners based on customer supplied layout. They were mounted separately on separate light poles. The banners shown here were printed in full color using the dye-sublimation system. The banners were constructed double-side with inner lining and had top and bottom pole sleeves to allow the mounting set banner arms to pass through for easy attachment. The layout was adapted from a customer supplied vector layout. The colors within the layout were specified as PMS pantone colors. Custom banners designed to be displayed on light poles are an especially cost effective method of advertising your message at a specific location or venue. 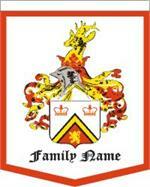 Banners can be made single-side or double-side depending on the presentation angle of the banner. Sizes can vary from smaller to larger with 3' x 8' being the larger squre foot size appropriate to use with standard light pole mounting sets that rely on banding straps to attach brackets to the poles. The diagrams indicate suggested location of various layout design elements. For example, the position of the logo might be in three separate locations within the layout either vertically positoned or horizontally positioned. Note that the appearance of the layout itself will be greatly impacted by the choice of a specific location. When developing your layout, we suggest that you take design element position, blank space,and the number of colors into consideration. Simple as a rule is almost always better. When you have a vetctor based layout prepared, show it to us for suggestions and pricing for your banner project. We can help customize your layout further. 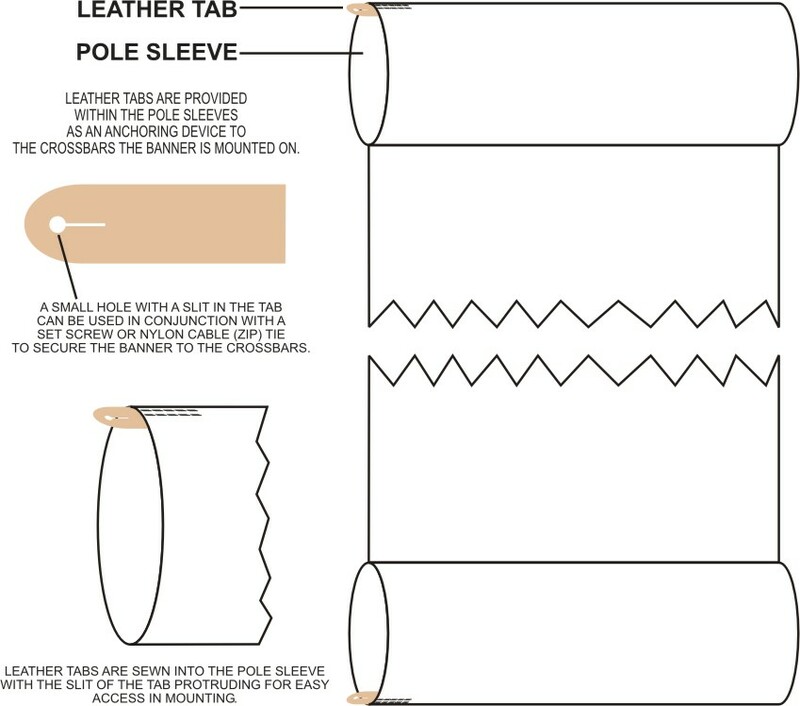 When we make lightpole avenue banners we usually suggest that leather attachment tabs are sewn into the open ends of the pole sleeves. 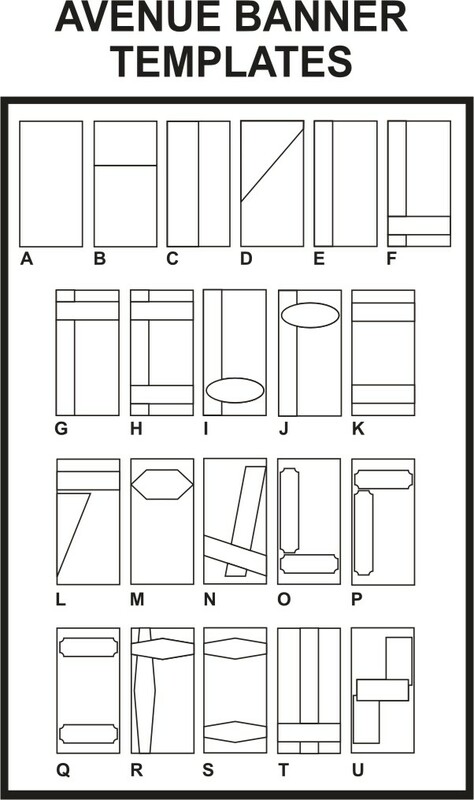 These are the same type of attachment tabs used for the pole hems of parade flags or marching banners. The tab itself has a hole through which a nylon zip tie can be inserted and tightened around the diameter of the mounting set banner pole. When tightened the zip tie will hold the banner firmly in place on the pole without the use of grommets. This eliminates the problem of grommets being damaged or loosened as the result of wind agitation.